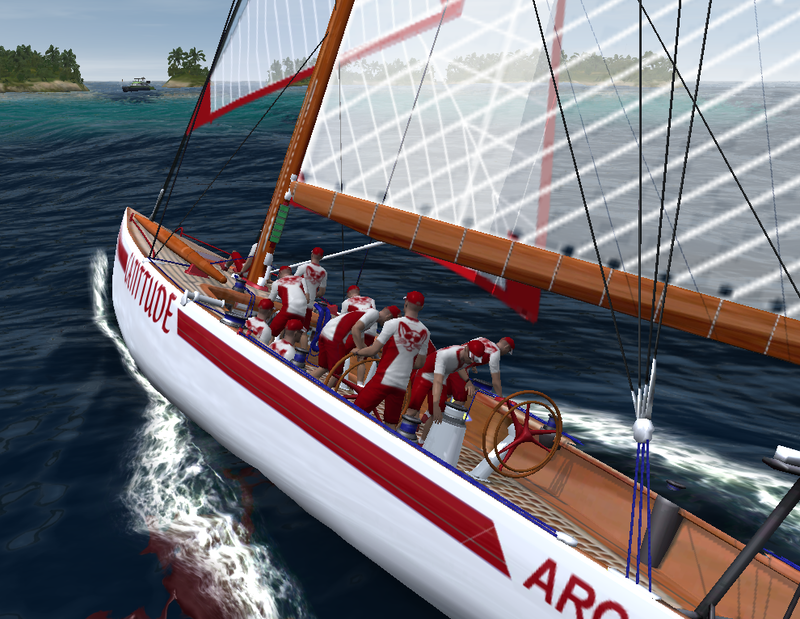 All ARC Members May Vote On The Best ARC ACC "Classic" Class Boat - vote now! I'd like to tell you all about a new Super-Endurance Event Scheduled to take place on the 22nd of June 2013. The event is for "Classic" boats only, I will give the perameters of these shortly, but just for fun and ambience in honour of the event some "classic" designs should look great. Race Conditions - Fair, Wind Strength 7, High Tide. Race Duration - Approx 2 hours 40 Minutes to 3 Hours. Server Name - "Telstra Sydney 3 Hour Classic"
The Course - The Telstra Sydney Super-Endurance 3 Hour course takes us from the Sydney Harbour Bridge past the Sydney Opera House then out to the "Heads" this area is the point in which the harbour meets the pacific ocean. Often described as the roughest patch of water in the country. We will journey out to the "Heads" 3 times before finishing at the Sydney Opera House. I have set a time in practice at 2hrs:46mins:36seconds, most pro-racers should complete the course well under this time. 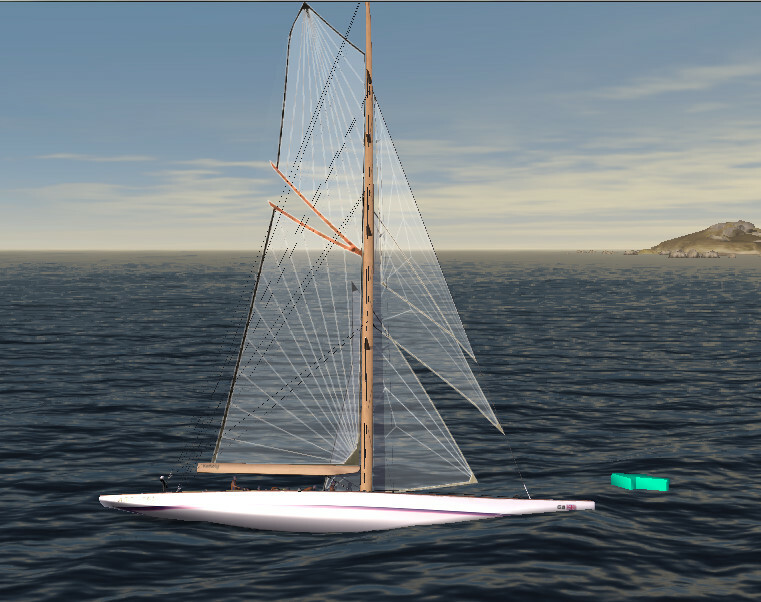 Using the standard skin template entrants are required to enter a yacht with classic sails, the sails are only to have limited transperancy enough to see through them, they may not be too see through. 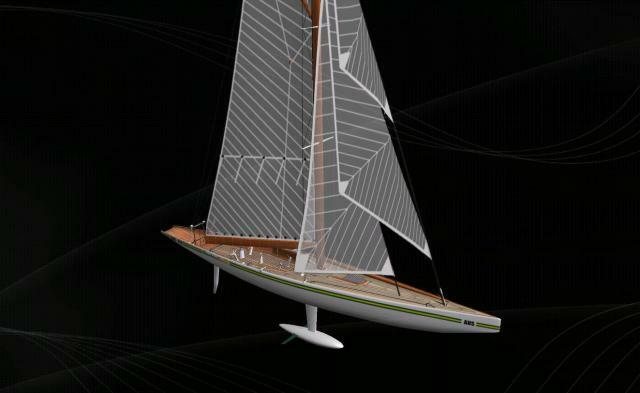 The yacht is to be white only but may have race striping in 2-3 colours, the decking must be wooden and the booms and mast must also be wooden. This is a fun skin to play around with. If players have only limited skills in skin design and/or do not have the time to prepare one then I have made one standard design already that I have made available in the skins downloads subforum. 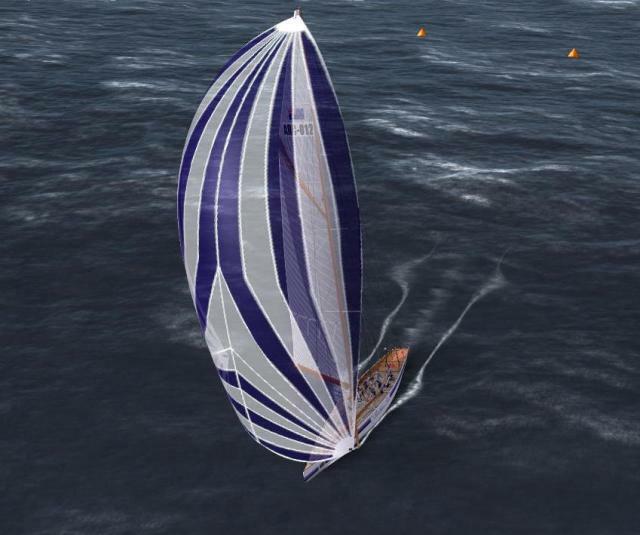 All you would need to do is change the colours of the striping and the spinaker. The yacht must have your ARC number towards the stern of the boaut and your nation must also be displayed on the boat towards the bow, these must be written in black the font is up to you. All boats must have a name before they may be entered these can be displayed amidships and may be whatever colour you like. 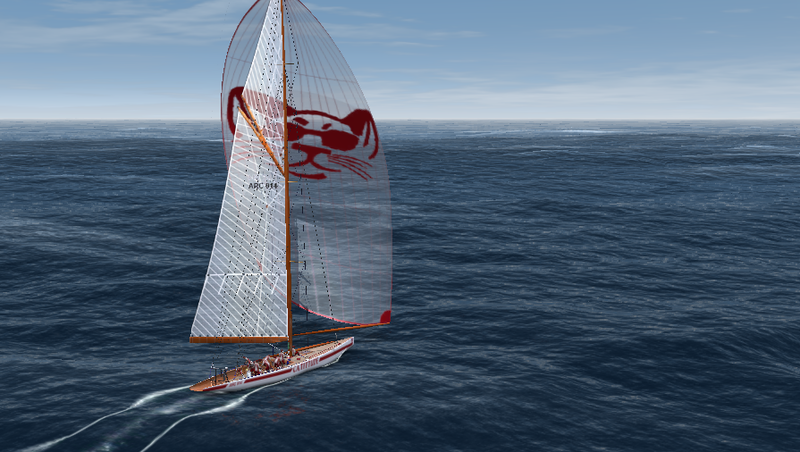 The winner of the competition will recieve 10 ACCEES Bonus Points, your entries must be posted to this thread, and we will post a poll to determine the winning "Classic Boat" entry. Should be heaps of fun making a skin and the event should be a great get together we havent had in a while. Cheers guys I hope to see you all there. Wish i could make that one. but i have never made a skin before. and i will be doing an over night race at that time. I will take some Bud for Dan and the ARC. By the way I plan on winning. Dumb question where do I get the template for the sails?? Great to hear from you, hope all is well first of all. Second, I believe that the only dumb questions are the ones that arent asked. I wanted this to be a surprise, but since most of us actually will need this boat for the upcoming event (well at least as a template) I will give it to all of you today immediately proceeding ACCEES this morning. 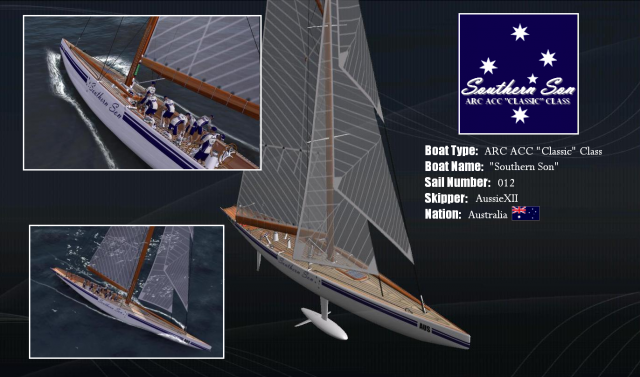 I have prepared a generic ARC "Classic" skin as a gift to all ARC members that have done so much and supported us so well over our first year as a club, the skin is based largely on the "Pen Duick" skin which was made available to me by Eric. 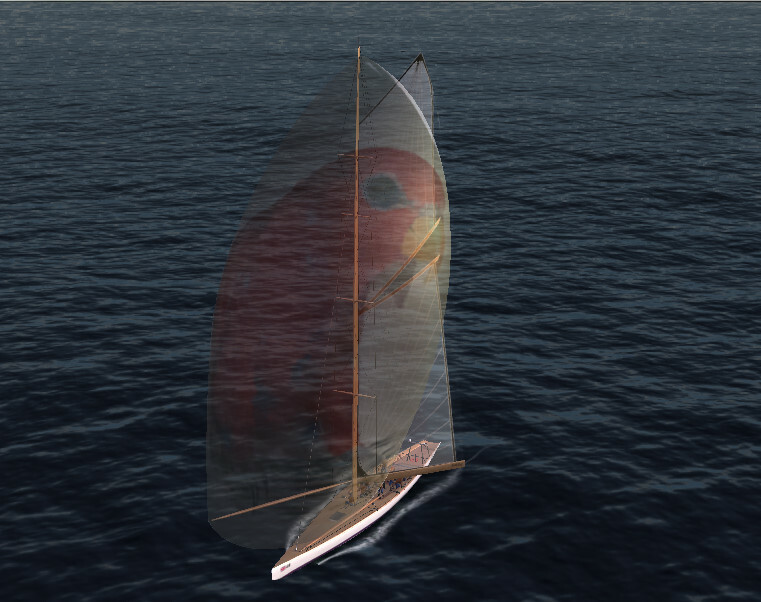 It was while making "Australis II" from the "Pen Duik" that I had the idea of the Telstra 3 Hour Classic, using these beautiful sails and wooden hull work that was present on the Pen Duick skin. I of course knew that not all people would have the ability or time to make a skin so I thought I would make one available expressly for the event. For those guys that have the skills and time I thought it would be fun for them to make a "Classic" skin of their own based on the regular ACC Skin template just to see what guys could acheive. I will upload the "Classic" skin as a gift to all ARC Members that want it both here and in the ARC Skins Uploads Sub-Forum. Happy Birthday - Team ARC!!! ...and thank you all for all your hard work. This is my gift to all of you as a token of my appreciation to your dedication, hard work and involvement in our great club....celebrating our 1st year. Happy Birthday, I know its a little early but since we have this event coming up and some guys may need it now, I thought it appropriate. 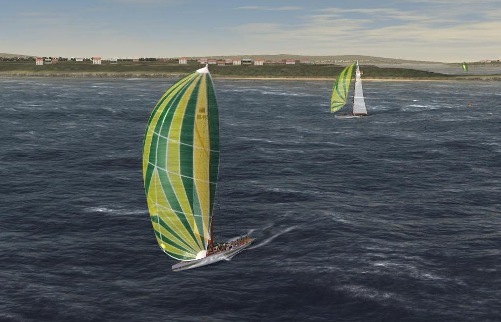 Just Wow guys...right within the perameters and these boats are just lovely, wow Gaz look at those sails....wow. Just lovely guys...what bloody chance do I have....hehehehe. I'm working on the "Southern Son" for this but she's nothing like those two, they are true Queens of the sea guys...wow. If guys need any help with this just shoot me a PM, I can just use the standard "Classic" Class skin (Skins Downloads Subforum) and just add your boat number and name, the whole thing would only take me 10 minutes, and then you could enter. Cheers guys, really looking forward to this event, it should be quite a spectacle. This event is scheduled for tomorrow morning, 8am my time (check "Canberra Time" on the homepage for exact start time). The ARC Telstra Sydney 3hour Classic server will be open from 7:45am my time to give everyone a chance to join before the official start time. Please be aware that all ACCEES Races are cancelled so this event can take place, ALL NE RESULTS THEREFORE WILL BE NULL & VOID SO DONT BOTHER HOSTING IT TOMORROW. As stipulated in the header message this event is for ACCEES Bonus points as well as the Super-Enduro trophy, further bonus points will also be awarded to the best ARC ACC "Classic" Skin as entered here in this thread, and as voted on by all ARC Members. A poll will go up shortly to determine the winning skin and bonus points allocation. The "Classics" are here to stay so we will be able to race other events with them for something different from time to time. For all those that join without entering a "Classic" Skin, you may not join, and will be asked to go spectator for this event. The whole idea of hosting a special event is so that it remains "special". This message has been up for weeks so you have all had plenty of warning and chance to prepare. So bring your classic boat and lets have some fun. You are most welcome Andy. As the final part of the ARC "Classic" event 10 more ACCEES Bonus Points are up for grabs for the winning "Classic" Skin. A poll will be posted shortly and everyone is invited to cast a vote for which ARC ACC "Classic" Class Boat should win these bonus points. Thanks guys a terrific race. @ Andy - My pleasure mate, happy to help. 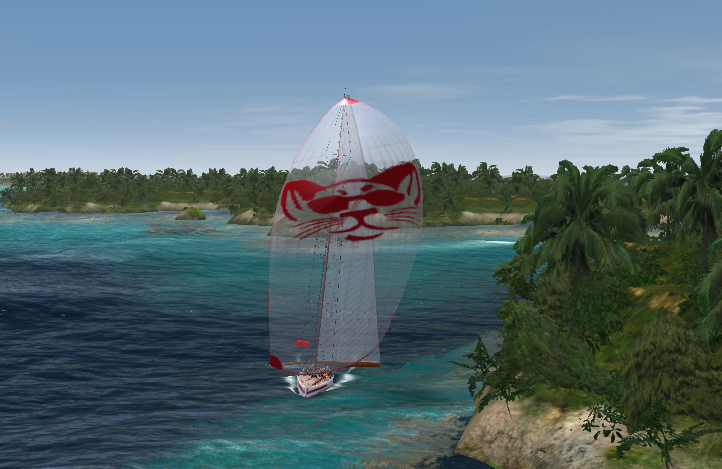 10 points to Manta for Kaitely...well done Gaz I really liked the sail sets on this one. 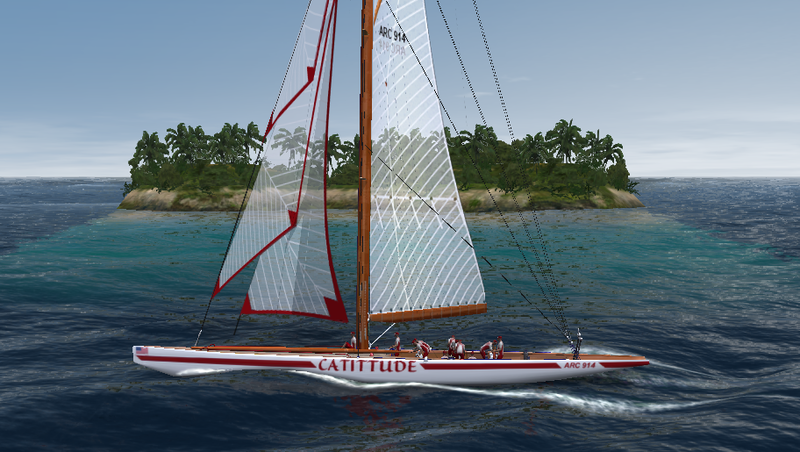 10 points to Seahorse for Cattitude, well done John, I liked both the boat name and the titleling on this one. Well done guys and thank you for participating, it was a terrific event and their were some lovely looking boats out there. I would very much like to run something more for the "Classics" at some stage in the future. Thanks Dan for the support and gesture but I'm not really sure I can accept the bonus points as I could not actually take part in the race. The bonus points were the prize for "Best Classic Skin" as part of the event.